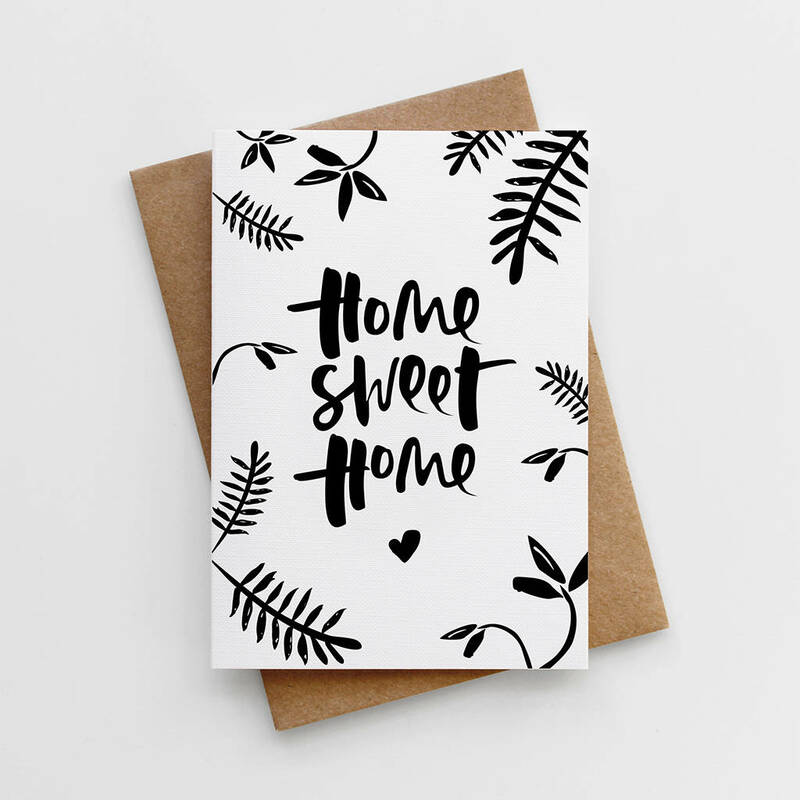 A beautiful hand lettered 'New Home' card with a touch of pretty! Send your celebratory happy new home wishes with this super pretty new home card. 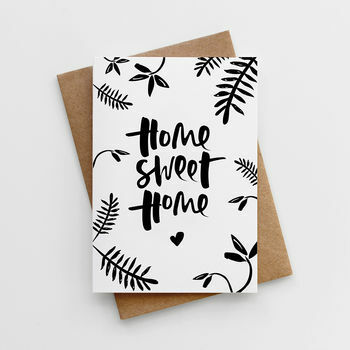 Featuring our classic hand lettering, this luxury birthday card reads 'Home Sweet Home', is printed on luxurious eco friendly, textured 350gsm card and teamed with a recycled 130gsm kraft envelope. Please Note: Envelope liners are cut by hand therefore some designs may vary slightly.